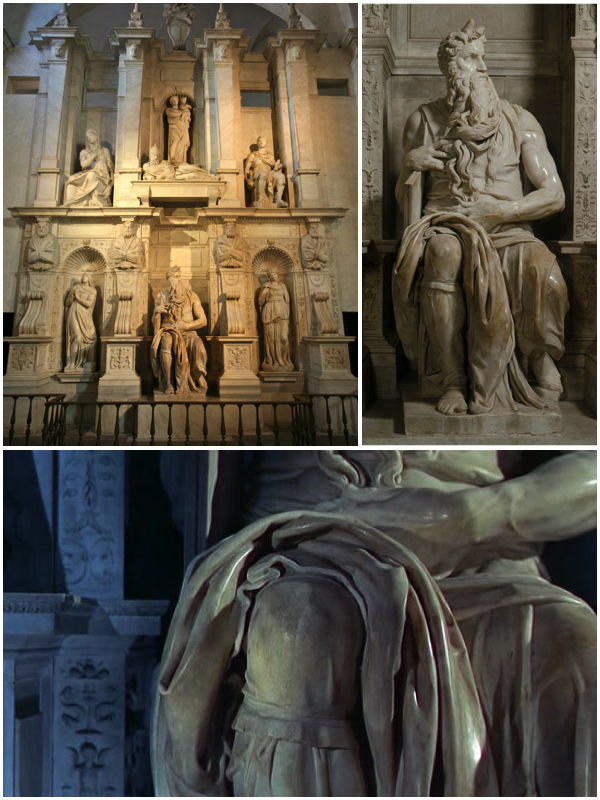 Michelangelo’s masterwork Moses is the main piece for the Tomb of Pope Julius II. The larger than life size figure was meant to be only one of more than 40 that would decorate a massive tomb that Michelangelo spend 40 years trying to complete. Between other commissions from Julius and succeeding Popes demanding his work for their own glory, the artist was never able to realize the true vision of the entire project. Legend has it that Michelangelo felt the work was so life like that upon completion he struck the right knee of the figure and proclaimed, “now speak!” Not sure this is true or not, but there IS a scuff on the right knee. Michelangelo’s influence permeates many different subjects. 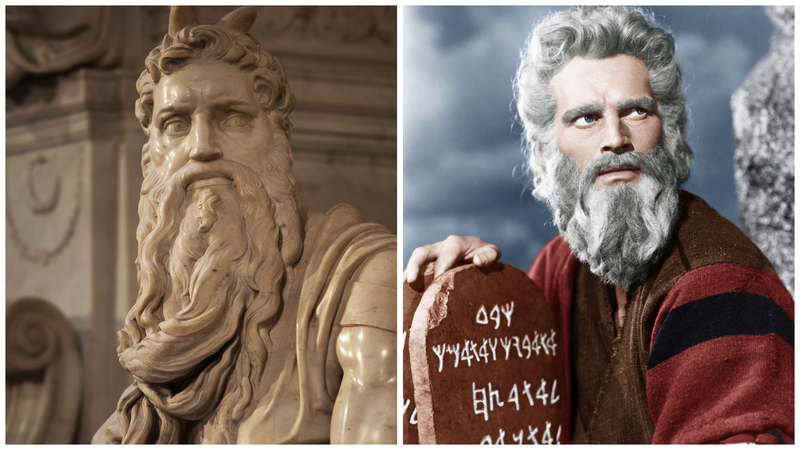 When casting for his epic “Ten Commandments”, Cecil B. DeMille drew a beard on Charlton Heston’s publicity photo and compared it to Michelangelo’s Moses and knew he’d found his lead actor.